Come join us from 1130am to 2pm at Rutledge Street Gallery, Camden, SC for a 2.5 hour hands-on workshop with Caroline Harper, an ex-Camdenian. You will learn the basics in Indigo dyeing & creating patterns using the ancient art of Shibori. She will show you how to set up your own Indigo Vat. You will explore various different Shibori Techniques of binding, clamping, tying to create beautiful textile patterns. After some fun exploration & experimentation you will incorporate what you have learned into two final silk scarves. ALL MATERIALS WILL BE PROVIDED and you will leave with all samples made in class. Please wear comfortable clothing/shoes that you don't mind getting dirty. Bring a snack and water to drink. Class size is limited & our workshops fill up fast so don't forget to reserve your spot by purchasing your place in the class. This is an unbelievable experience! 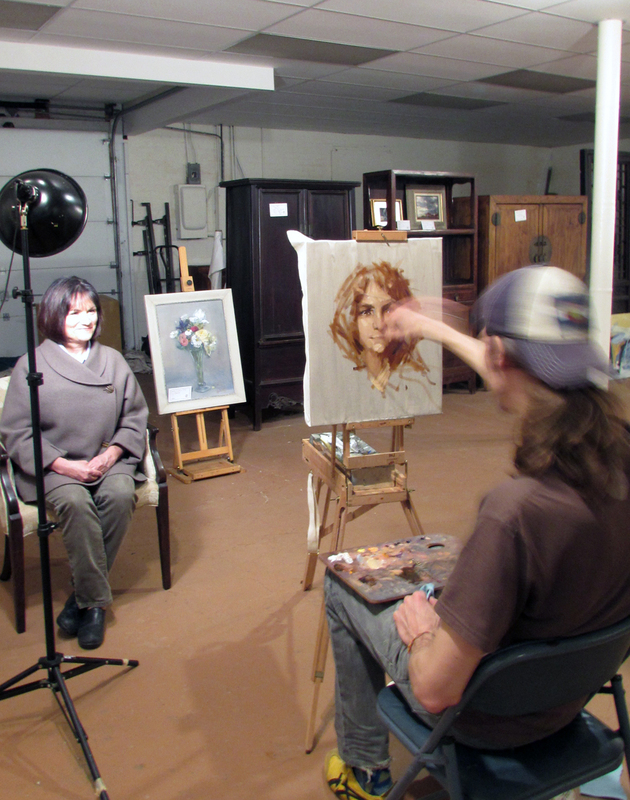 If you ever want to have your portrait done in less than an hour by Seth Haverkamp, contact Rutledge Street Gallery for information about new dates coming up. Paintings have arrived! Amazing beautiful pieces. We are so excited to present to you the new and re-designed Rutledge Street Gallery website. Check it often as we will be adding more art, furniture and accessories as well as events in the Fall. Sorry for the inconvenience! We are working as fast as possible to serve you with a new fresh site. Check back in a few days.